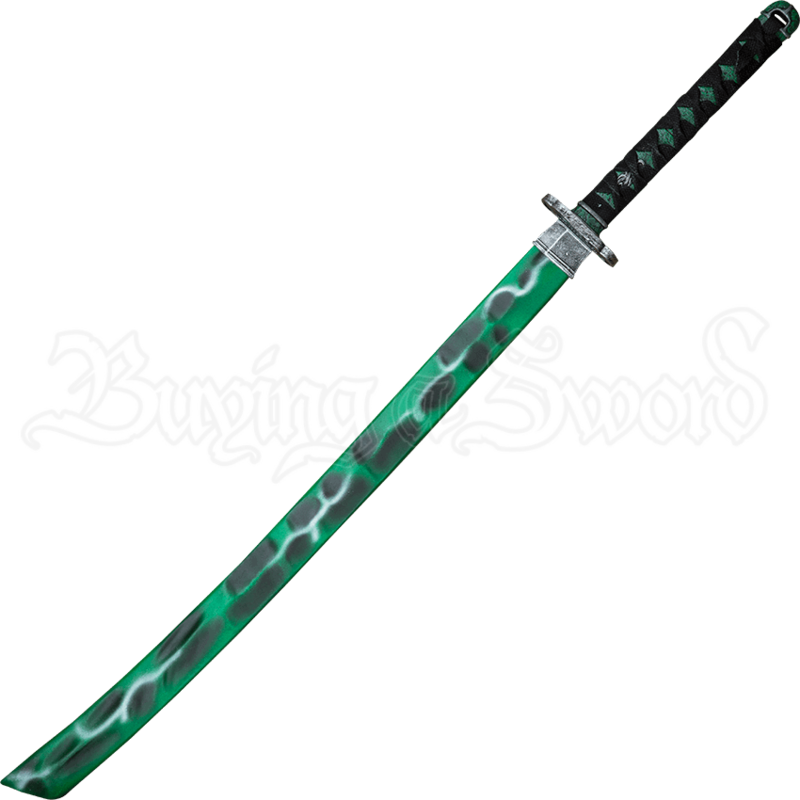 The vibrant green metal of the Viridian LARP Katana is a rare and beautiful material fit for a heroic blade! 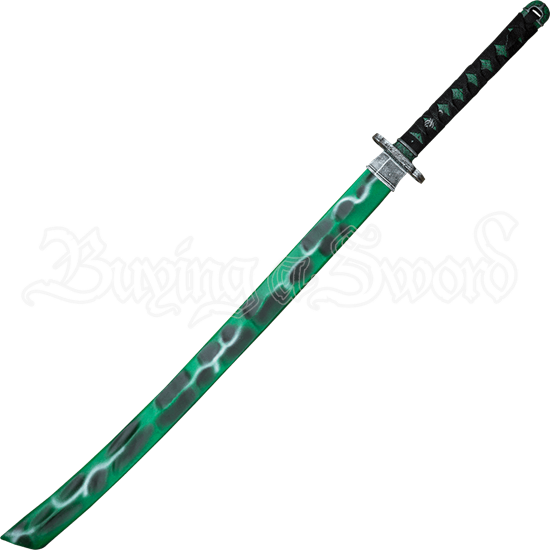 The green and black colored swords that are forged from this metal are highly valued due to their incredible durability! The blade of the Viridian LARP Katana is made from a closed cell foam that encases a flexible fiberglass core and a strong Kevlar tip. The foam of the blade has been hand painted a rich green and black that resembles a stone-like metal. The flower-shaped tsuba guard of the katana has been painted green with an iron colored frame. Underneath its wrapping, the handle also bears a green color. Wield this verdant LARP blade with elegance and skill when you fight with it in your next LARP combat! The Viridian LARP Katana has an overall length of 39.4 inches. Please be aware that this measurement can vary slightly, as it is a hand-made item.